As a traveling professional, you appreciate convenience and intelligence. Whether you choose to communicate through email, voice, texting, instant messaging, or the Internet – in many countries around the world – the HP iPAQ Data Messenger can handle it. Toggle between your work and personal email, including push e-mail (Microsoft Exchange with Direct Push Technology). Where WiFi networking is available, connect to the Internet and email1 without using your data plan -minutes. 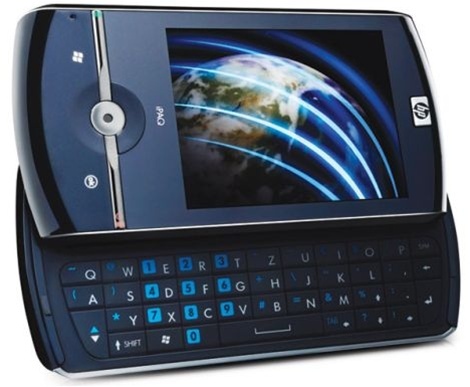 Instant message1 with integrated Windows Live Messenger. 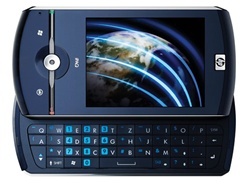 Skip the “new phone” learning curve with familiar Windows Mobile 6.1 Professional Edition. Synchronize your extensive contacts, appointments, and tasks from your PC with Microsoft Office Outlook Mobile. Store up to 8GB of your important work files with the convenient micro SD slot, and edit them with Microsoft Office Mobile. Work in style Beyond intelligence, style matters to you as well. You’re a whiz with text and email, and you prefer composing more detailed communications with a full alphanumeric slide-out keyboard. You need to view your mobile content with a large touch screen display that shifts automatically between portrait and landscape modes. When a picture means a thousand words, the integrated 3.1MP auto focus camera with 5X digital zoom is there to help. 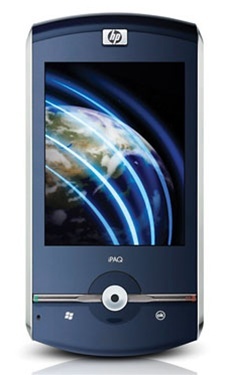 While on the road, you can even find your way with integrated GPS5. Who knew such a smart phone could be so stylish?